Alfreton Town are delighted to share our involvement with educational Charity ‘Mellon Educate’ during their visit to South Africa to help build schools, houses and educate pupils during 2018. Mellon Educate was founded by Niall Mellon, an Irish construction owner who visited South Africa on holiday in 2002 and after seeing the large amounts of poverty and poor housing, Niall vowed to change that. He began by taking out volunteer builders for a week each November who would build houses (now estimated to have housed nearly a million people). This led on to building schools and in 2017, Niall was asked by the South African Government to bring teachers to assist the staff in those schools. 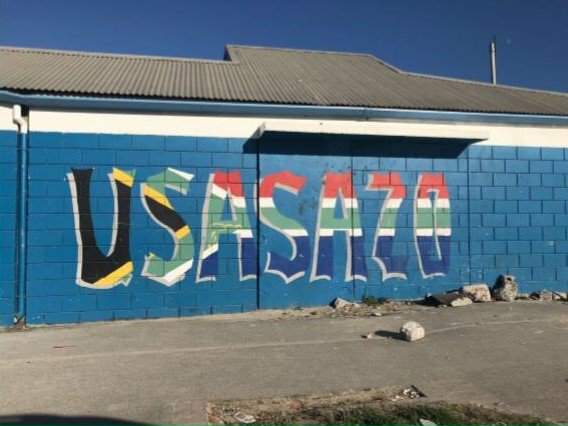 ATFC were contacted by Fiona Molumby, a RE teacher at Saint Benedict Catcholic Academy in Derby; who was travelling with Mellon Educate for two weeks to help teach pupils at Usasazo High School in the Western Cape Province in 2018. Fiona had to raise £3,200 to take part in this over-seas trip; she reached her target and also received a wish list from the high school which included football kits and footballs. Fiona who lives close by to the Impact Arena, sent us a letter asking for possible donations to her cause in South Africa and the club happily provided over 32 full kits and six footballs for Fiona to take to Usasazo school. “They have little PE on their timetable but are all keen sportspeople and the kits and footballs from Alfreton Town were greatly appreciated. Football matches do occur on an ad-hoc basis and the head teacher is keen to develop teams and a local league." “I want to say thank you to the club for supporting my South African Adventure this year through the gift of many kits and footballs. I feel so privileged to have had such an opportunity to be involved and have got so much out of it, whilst also hopefully leaving the staff and pupils with ideas and suggestion to enhance teaching and learning." 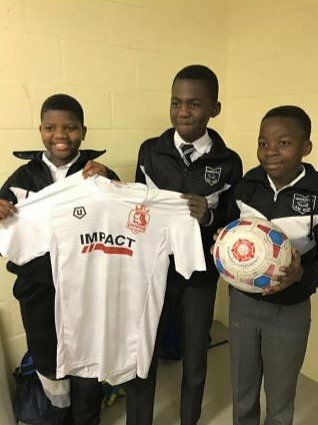 Alfreton Town are delighted to have helped Fiona on her Adventure to South Africa and proud that our kits and footballs have aided in helping pupils enhance their learning and PE activities.